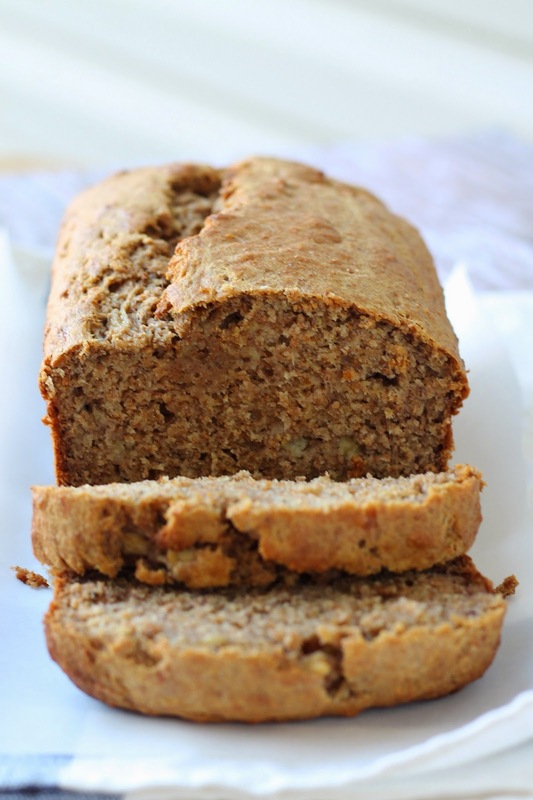 Ages ago, when I first started blogging I posted this banana bread recipe. 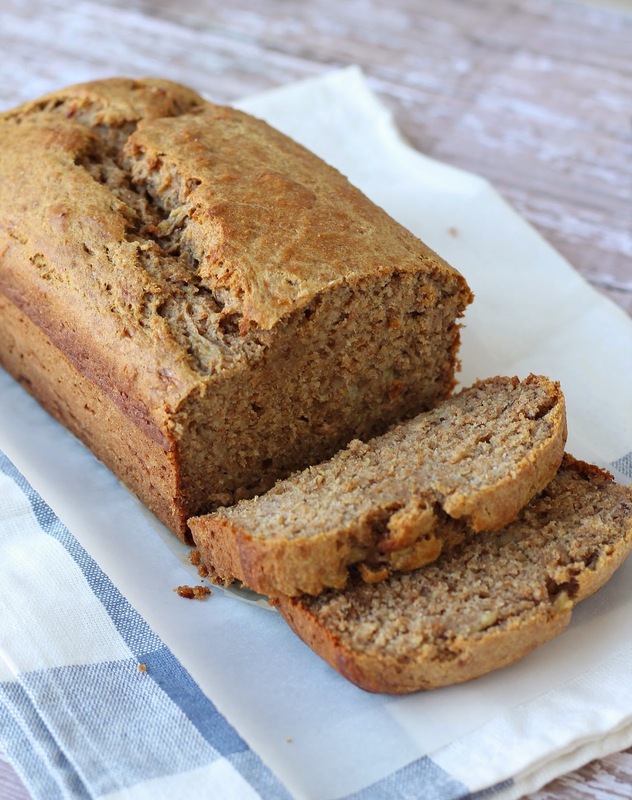 I've played with it a bit over the years, but it still stands as my favorite banana bread recipe. So much so that Jeremy rarely bothers to eat any. He knows better, I made this Monday and it's nearly gone already. This particular recipe is insanely easy and so adaptable. I've never messed it up and I've barely followed directions over the years. My absolute favorite banana to use is one that when the stem is picked up the banana falls from the stem to the counter. Overly ripe, super sweet, and perfect for banana bread. Set over to 350 degrees. Line the bottom of a loaf pan with parchment paper. Shift together the four, baking soda, cinnamon, and salt. Beat the sugar and eggs until light and fluffy. Drizzle in the oil. Add mashed bananas, yogurt, and vanilla. Fold in the dry ingredients. Pour into a lined loaf pan and bake for about 45 minutes to 1 hour. You can also add in nuts, I do depending on what's in my freezer. I can't promise I'll finish Nanny's recipes very soon. There are still several envelopes to go through, plus pregnancy has caused enough food aversions that I can hardly stand the kitchen. I had a nice little spurt of no nausea and took advantage of it to whip this up!